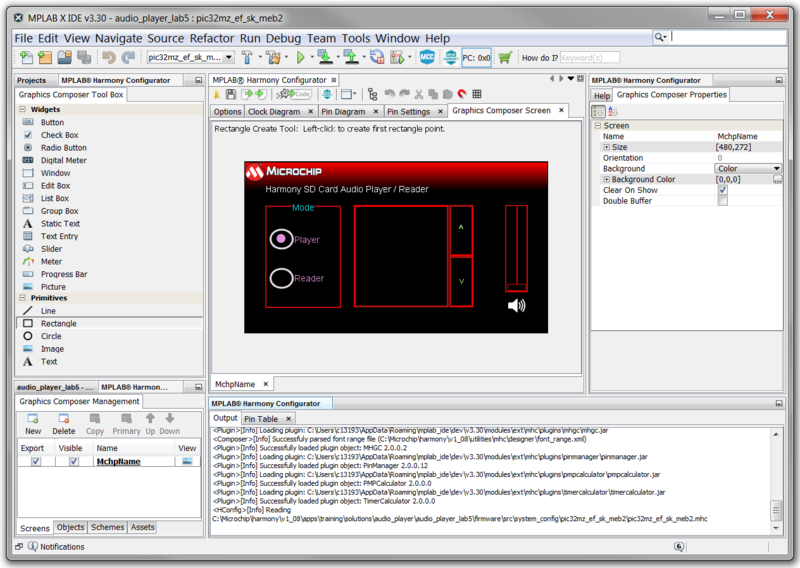 The MPLAB® Harmony Graphics Composer (MHGC) is a graphical user interface design tool that is integrated as part of the MPLAB Harmony Configurator (MHC). This tool enables you to easily configure and visually design for the MPLAB Harmony Graphics Primitive Library and the MPLAB Harmony Graphics Object Layer. For more detail on the MHGC User Interface, please see the MPLAB Harmony Help file. It can be found in the Harmony install folder under the doc folder. When MHGC is opened, the Graphics Composer Screen is displayed (see the associated image). This screen is the same size and resolution as your actual display, and it simulates how objects will appear on the screen. 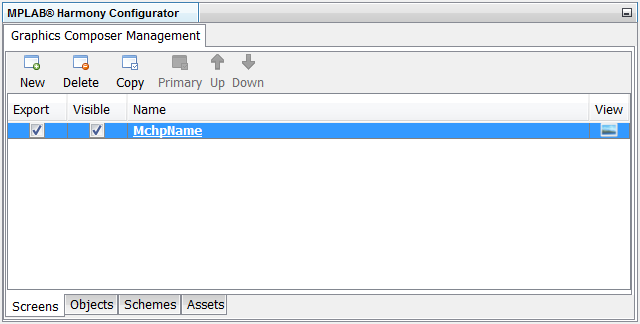 The Graphics Composer Properties tab is displayed in the right top pane. 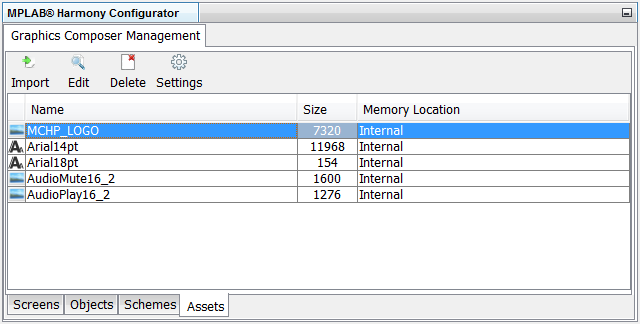 This allows you to view and edit the properties of the selected screen or object. The 'Screens' tab lists the screens designed for the application. 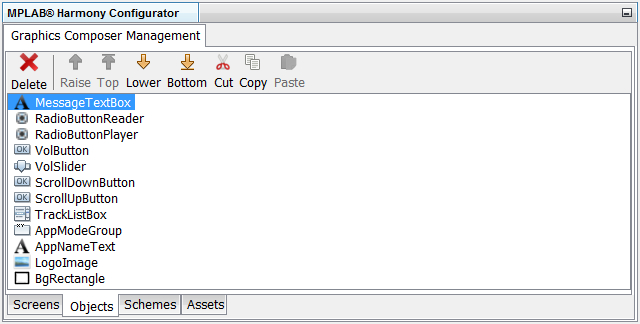 It has options to create, delete, copy, move up/down and make a screen as primary screen. The 'Objects' tab lists the objects used in the application. It has multiple options to control how the objects appear on the screen. 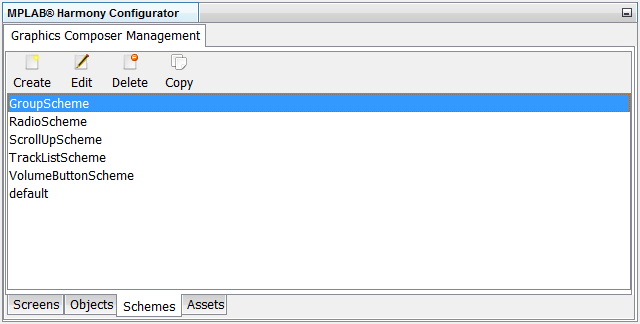 The 'Assets' tab lists the graphics resources used by the applications. Assets could be fonts, images or any other data needed by the application.